The most famous rill discovered by Schröter was later promoted to a valley and named in his honor. Schröter's Valley lies just northwest of the crater Aristarchus (for two views, see items 29 and 33.) 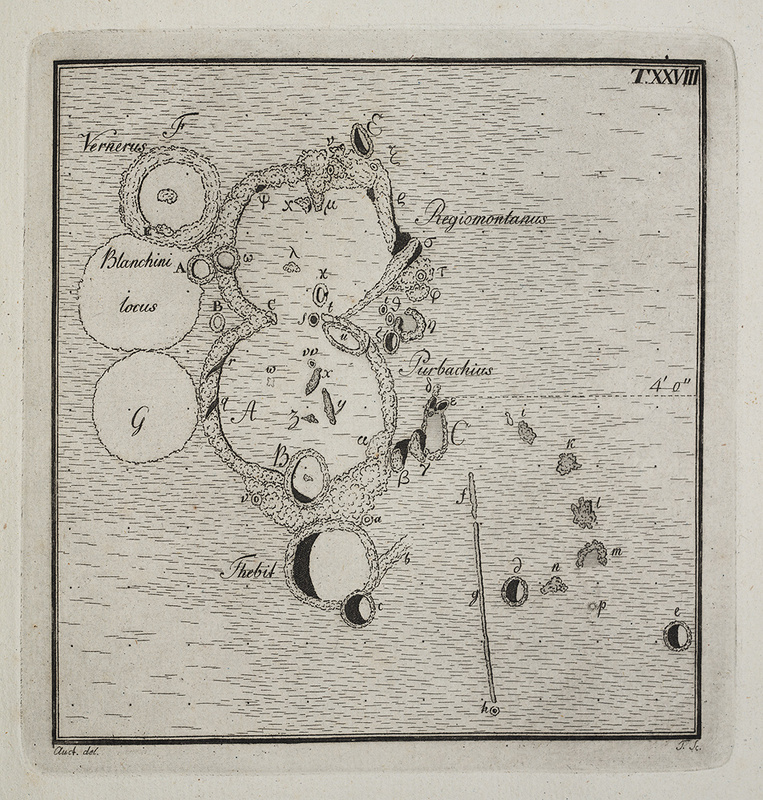 He was also the first to publish a drawing of the renowned Straight Wall, which is depicted here just to the right of the crater Thebit in the lunar highlands. We now know that both the Straight Wall and Schröter's Valley were sketched a century earlier by Christian Huygens, but his manuscript drawings were not published until 1925.